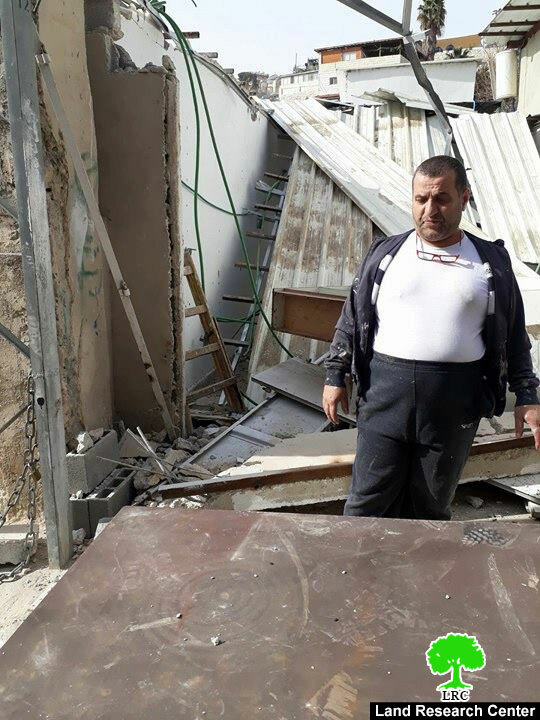 On December 23, 2017, the Jerusalemite Omar Abu Rajab self-demolished his house in the neighborhood of Al-Bustan in Silwan following an order from the occupation municipality and under the pretext of building without a permit. Abu Rajab explained that he had to self-demolish his house, to avoid the expenses and fees that the municipality would charge him for demolition, that mount up to 80 thousand NIS. Abu Rajab added that he live with his five member family in the house that is 50 square meters and roofed with tin plates family. The establishment was built in 2009 after I got my first house demolished last October under the pretext of building without a permit. 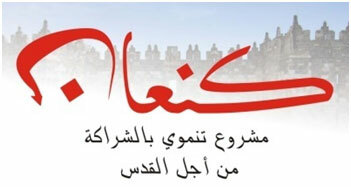 It should be marked that the town of Silwan is considered a "green area" according to Israel municipality. Noteworthy, construction on such area is prohibited. Obtaining building permits in such areas is almost impossible. Israel works hard to displace people and empty the area to serve colonial expansionist plans and to serve the colonization project. Banning people from demographic expansion is an Israeli means to displace Jerusalemites and empty the city from its indigenous inhabitants. Definition: When an owner of a structure is forced to demolish his property by himself, it is called &apos;self demolition&apos; or &apos;silent demolition&apos;. It used to be carried out in quiet or in silence as the name suggests. But recently, due to their increased number of cases, victims have come to disclose that such type of demolition exists and that it is their only choice and speak out about the inhumanity of the Israeli occupation for forcing such a practice. This kind of demolition is mainly imposed on Palestinians in Jerusalem in efforts to displace them and Judaize the city. The Israeli occupation always justifies that type of demolition, which is a blatant contravention of the right to residence and a crime against humanity, on the pretext of unlicensed construction. 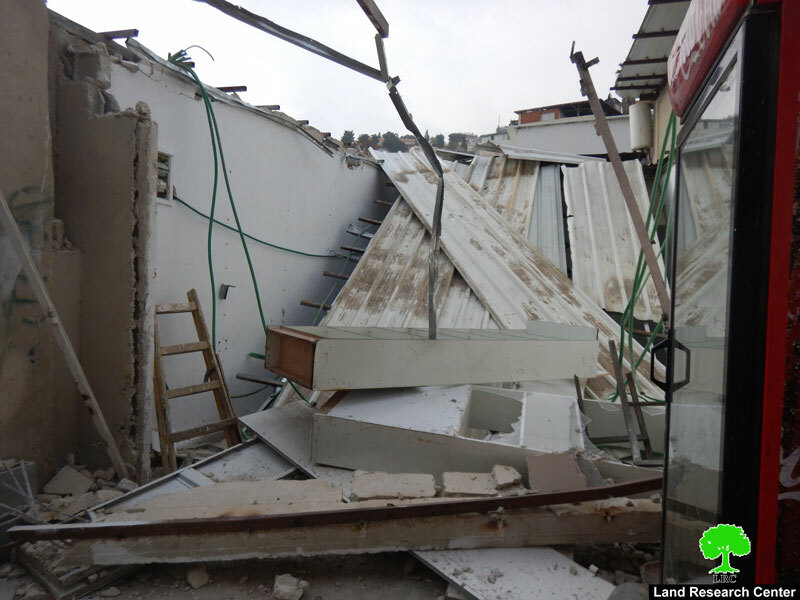 According to the field visits conducted by Land Research Center, the occupation municipality forced the owners of 87 residences to self-demolish their structures during the past ten year. As a result, more than 541 citizens, half of whom are children became homeless. The self or silent demolition causes great pain and feelings of oppression. When the Israeli occupation carries out a demolition operation, the family gets more united in the face of injustice, especially children who become aware of the reality of the occupation. But when the father carries out the demolition, children become confused and view their caretaker as weak and helpless. This may lead to fragmentations, clashes and instability within the family, and children might suffer psychologically and lose trust in the family, society and future. Let alone the loss of money and efforts on the part of the breadwinner and the family.